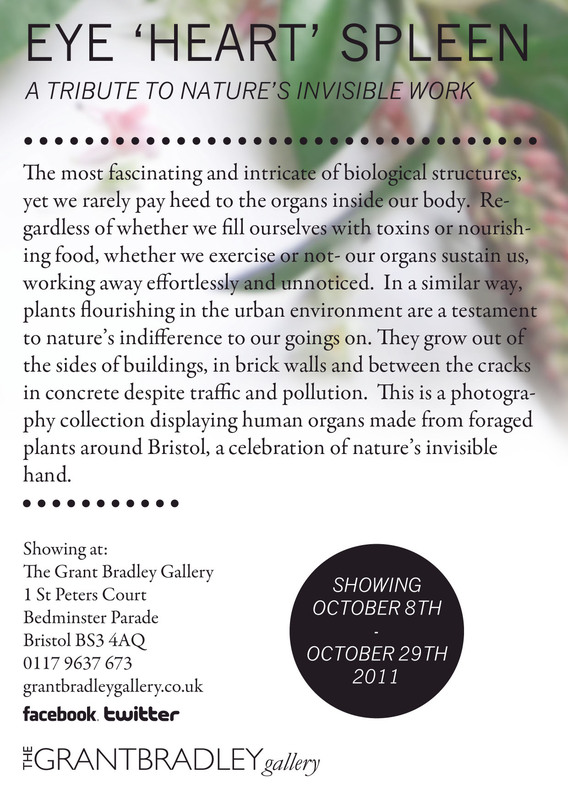 ‘Eye Heart Spleen’ is a body of work made out of 13 photographs representing human organs sculpted out of wild plants and weeds foraged in Bristol. The plants were collected and assembled early in the day, so as to photograph them in the best possible light, and to keep them from wilting. 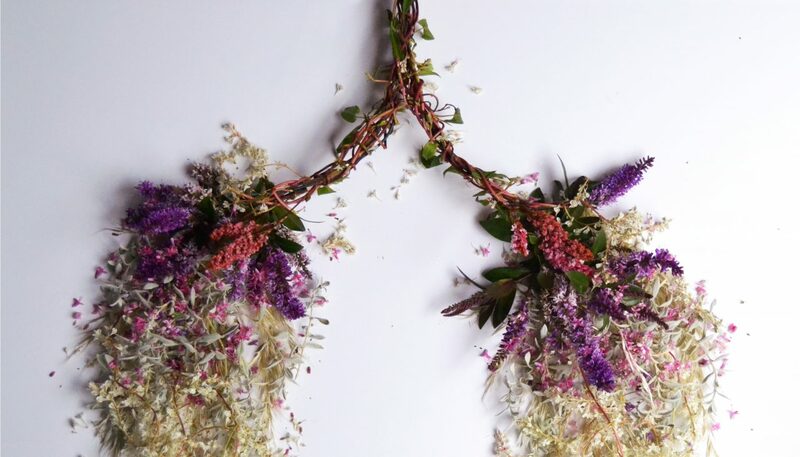 This work invites the viewer to regard our vital structures as beautiful living organisms, and to contemplate the miraculous work taking place inside our bodies, even in this very moment. The Urban fringe Dispensary, Colston Street, Bristol – On Display, for sale. ‘Paper Scissors Stone’, Made in Bristol Pop-up shop in Cabot Circus, Oct-Dec 2012. Christmas Steps Artisan Market , December 2012. They are signed and dated Giclee prints, a high quality archival ink (keeps for 100 years) on Somerset Velvet paper, for a lovely artistic matt texture. You can pay by direct bank transfer (if you are in the UK), or via PayPal. They can be posted or delivered to you. Beautiful! I love the concept! Let me know when you are exhibiting, or have a market. Keep up the good work and will be in touch if something comes up that I think you might be good for. 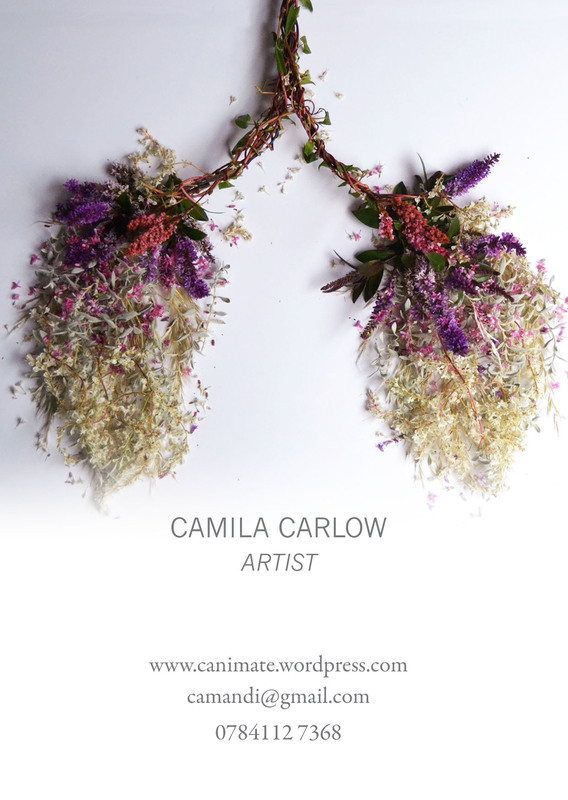 I would like to buy a print of the lungs – framed and medium size . How much would it cost please ? Just thought I would leave a little comment to say I think your project is lovely! I’ve done a little blog post on it too and used some of your images but credited you to them… hope that’s ok! I look forward to seeing the project develop!